High Carbon Steel, with a blacked finish. Suitable for heavier duty jobs. Squeeze the two ears together with pliers and slide into place over the hose. these clips to give thier maximum performance. 12mm band width. Ears add 12mm to the diameter. 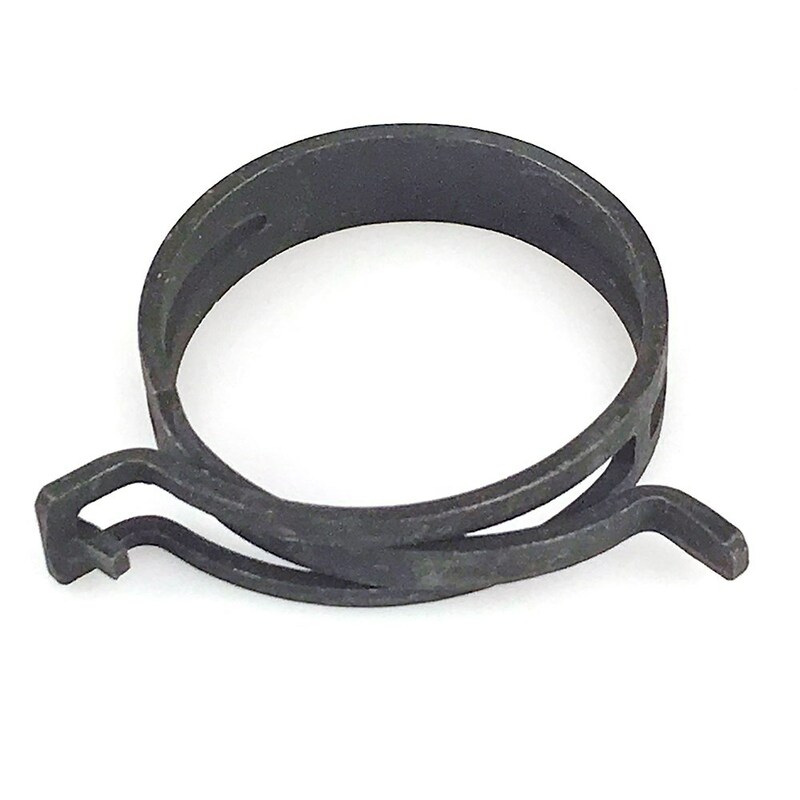 This re-usable heavy-duty spring-band clamp is manufactured according to DIN 3021. It is especially recommended for applications where temperature can vary from -40°C to +120°C . The design of this clamp means that it can maintain the same radial force despite these changes in temperature.